Lexy's GW2 Project 365 | Obsession is a good thing, yes? Late once more. I’ll tell you this, I’m never moving again – this house we’re buying is going to be my ‘death nest’ because I can’t go through all this stress another time! 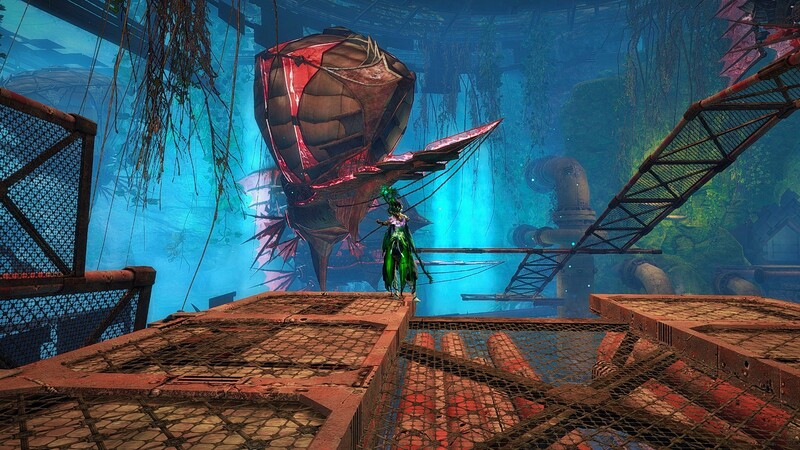 Luckily Tyria is my sanity spot, a welcome distraction from the real life frustrations. 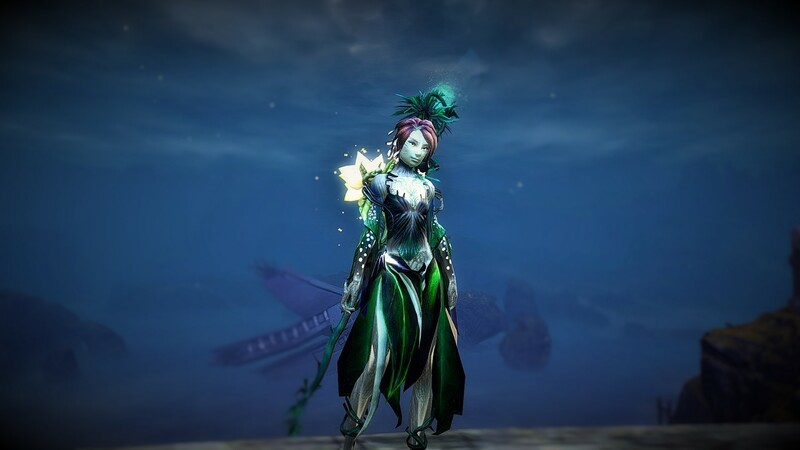 Phizla, my second mesmer, has been parked on the shelf for a couple of months now. 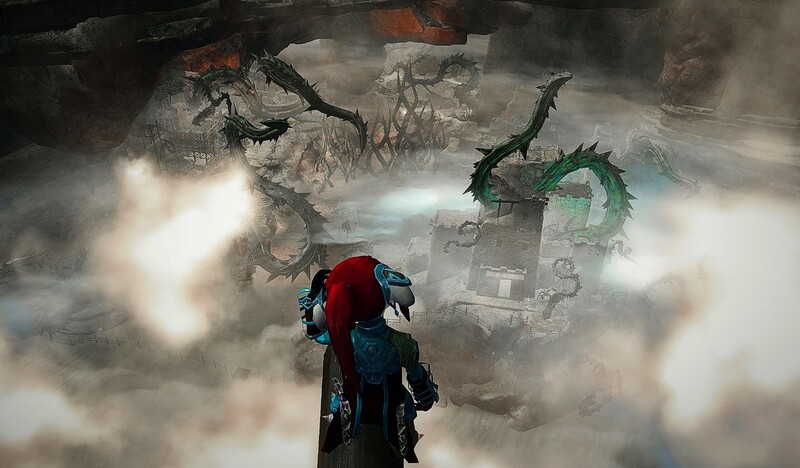 As the patch for Dragons Reach Pt 2 didn’t come down the pipe until late on my time I spent a bit of time with her. Reaching level 60 she was rewarded with some new cultural armour, also helping with my ongoing project to populate my wardrobe with skins. Phizla models her new threads. Sinking my teeth into the new patch, I loved the party in Divintiy’s Reach, some great writing and lots of stuff to enjoy. Plus, bonus Chauncey! 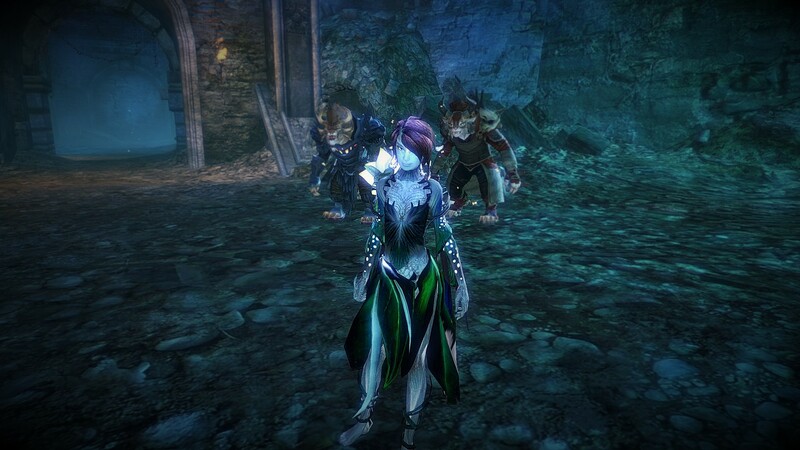 The inquest fight with Taimi was ok although I did feel a little emotionally battered after it was through. 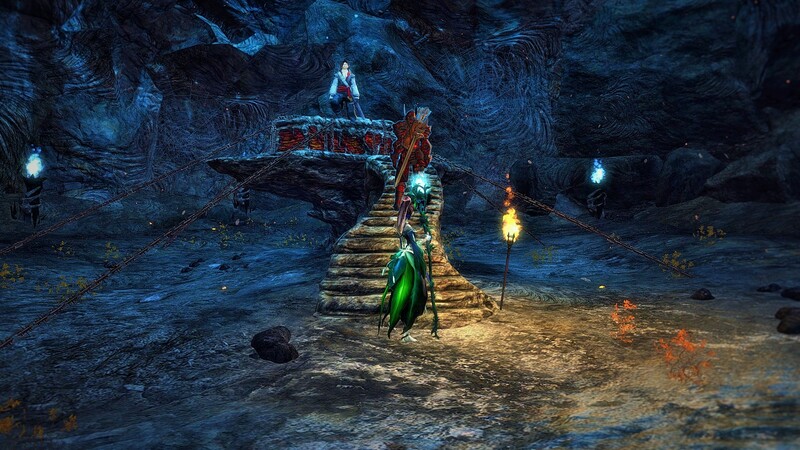 Then it was on to the summit itself, a procession, a bunch of dialogue and finally a pretty dangerous boss fight. I wasn’t prepared for all that AOE and went down more then I’d care to admit. 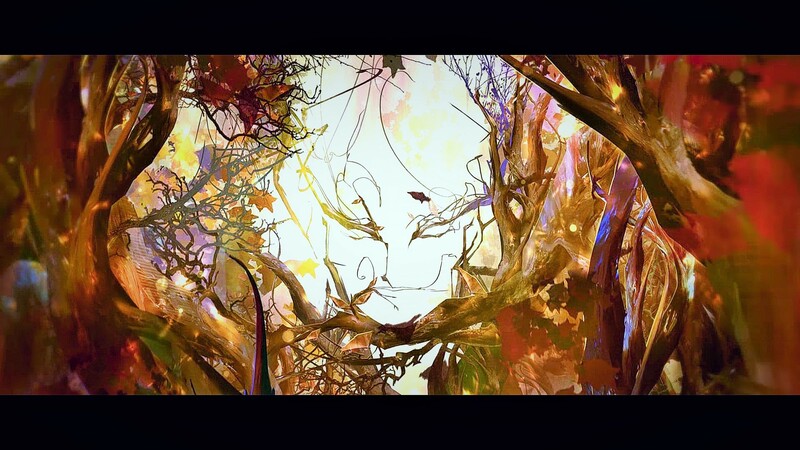 I went back to the story to rewatch the Pale Tree’s vision again – there’s lots of stuff to take in and I am so curious to see how it all ties in with the second half of LS – whenever that gets picked up again. I was going to use a different screen shot for today until I noticed the face – can’t believe I missed it whilst watching the vision in game – I think this is so clever and well done. I had the forsight to continue making plant food after I completed the first stage of the vine backpiece so I was halfway there when the new recipes came out, plus I was sitting on a mountain of Firefox Clusters. I know this isn’t everyone’s cup of tea but I really like the vine, plus it’s so nice for Tulaah to have a backpiece at all after her haircut I figure I’ll show it off for a while. Now to make more food for the final Mawdrey version. Tulaah demonstrates her ‘green fingers’. 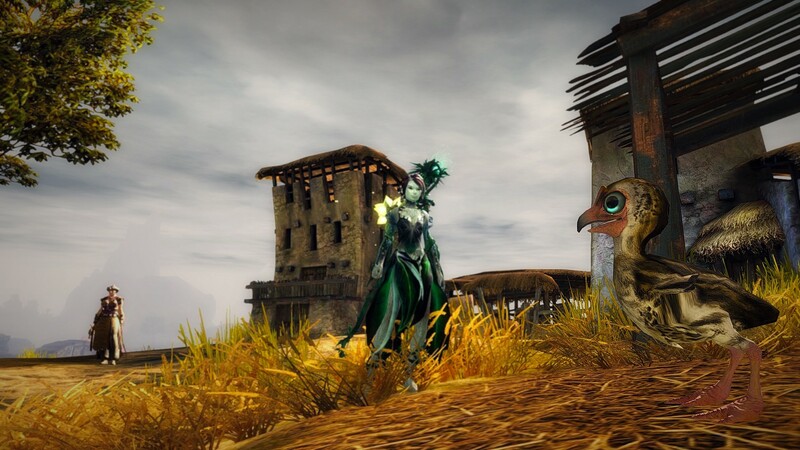 House buying stress levels reached a peak on the 16th and all I wanted was distraction – thank you Anet for EoTM, mindless zerging was exactly what I needed. Thank you to the numerous commanders I followed and to the opposing teams for their many loot bags. A nice relaxing zerg – just what the doctor ordered. 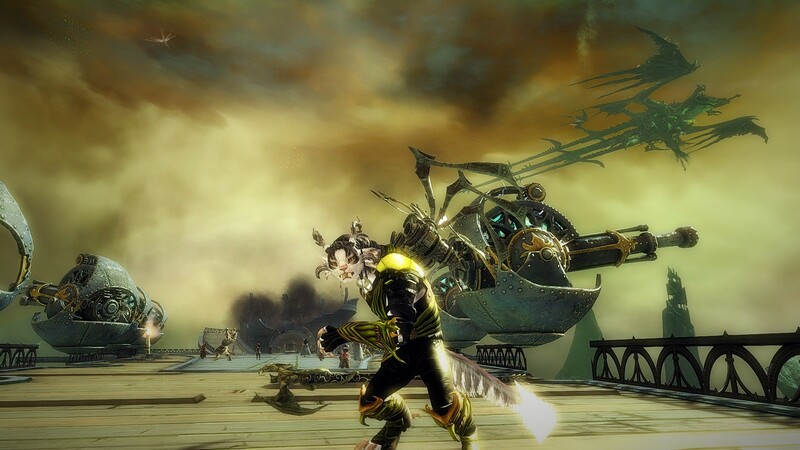 Sunday dawned and the rain was falling – perfect GW2 weather. I’ve got a long term goal to fill up as much of my wardrobe as I can so today I picked up a project that has been patiently waiting for months – spinal backpieces! I already had one normal tempered ascended version and I’d made sure that during the Battle for LA content I collected 10 of each coloured power core and enough blade shards ready for the day when I had resources, time and inclination to make two more Gift of Blades. It took most of my stock of Elonian leather but I used up nearly all my saved blade shards (yay! more bank space) and I am really pleased with how they look on their chosen wearers. Personal project #179 – complete. Another personal project one step closer to completion – Dungeon Master! After an epic TA Aetherblade run with some very patient guildies (it started on Sunday night and ran into the early hours of Monday morning) I now only have one path left to achieve my DM title. Look out Arah 4, I’m coming to get you…Soon™. Suspiciously quiet in the Aetherblade hideout. Bit late this week, apologies, but I’m here now and that’s all that matters. Diving back into fractals, I can’t end the year on pretty much the same fractal level that I started it at…for shame. So I’m hoping to be at 30 by Halloween, not particularly ambitious but I have a house move (with possible lack of internet) and a wedding anniversary to fit in between now and then. Colossal Tuesdays – Bring your hammers! I’m in a love/hate relationship with the new LS achievements. I love that they do present a challenge, particularly if you can resist the pull towards Dulfy.net. I hate that I’m faced with mountains of un-skippable dialogue when I’m just trying to repeat an instance for the second or third time to get an achievement. I also think that achievement rewards should be obtainable by each character once per account, although the achievement points themselves can only be awarded for the first character to complete the achievement. The deeper we delve into Dry Top the more we see the devastation to the Zephyrite fleet. I know it isn’t everybody’s cup of tea but personally I love a scavenger hunt so crafting this new backpiece was a lot of fun for me. I even enjoyed some rather intensive firefox farming in Orr for a couple of days. 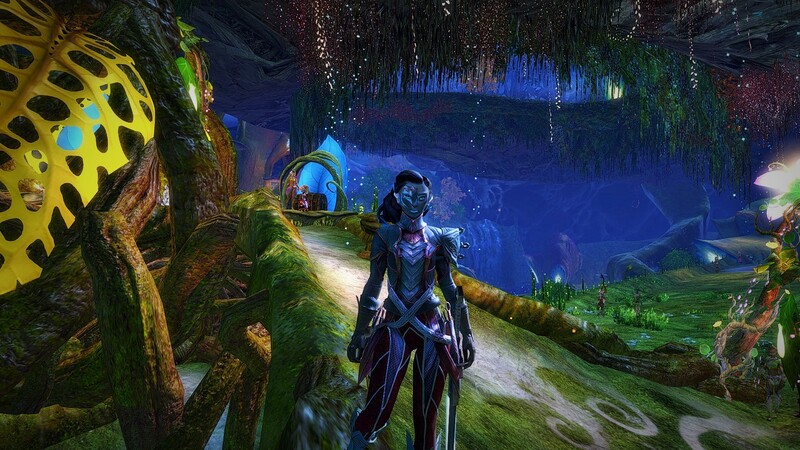 I’m pleased with how it looks, it certainly suits my Sylvari and I’m hoping the next stage doesn’t go too crazy/big with itself. Also, I thought the flavour text on the backpiece and the resulting second seed were great. 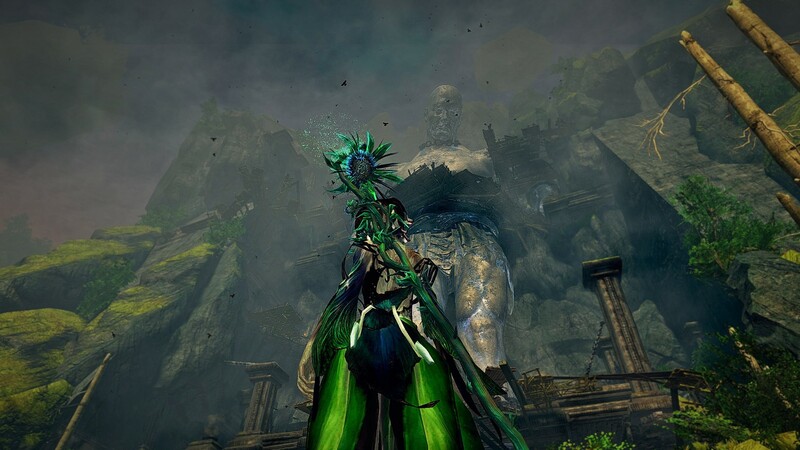 This vine, while appearing to be touched by Mordremoth, has been grown from seed under the good influence of a hero of Tyria. When the first section of Dry Top opened for us back in Episode One I quickly said that Prosperity was my favourite part. Now, a few episodes and map reveals later I haven’t changed my mind. Fair enough it’s a little more viney these days and could use a trim but I still think it’s one of the best constructed areas in the map. Evil witch you say?…To cliché or not to cliché. More fractals and I was totally surprised when we got to the forth – I’d forgotten these guys even exist, it’s been that long since I last drew them. A pretty smooth run and a fond reminder of LS season 1. Hey guys, how you been? 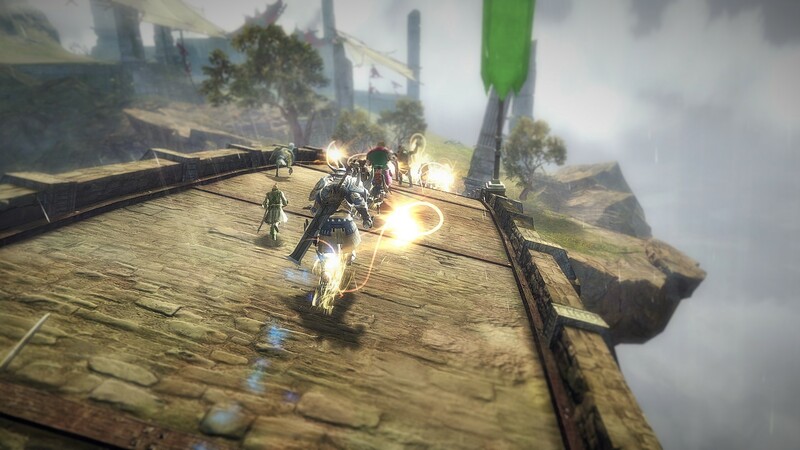 Preview day and Arenanet have already released the new teaser trailer – looks exciting, can’t wait. But what about the week just finished? Rumour reached me that things were still afoot at Fort Salma so I had to go check it out – look who I found still standing guard! I love this little detail and I hope that it features in a later story episode. I wonder if anyone’s told Marjory yet? So with the latest release came the discovery of Foxfire Clusters (your guess on the name is as good as mine…) but it did trigger a gold rush style player exodus to Orr, chopping down every tree in sight. I’m guilty of joining in, only because you need 48 of the things and I’m too cheap to buy them and too impatient to wait for the price to drop. Along the way I rediscovered the beauty of Orr, not always obvious as you wend your way between shambling risen and lumbering abominations, but when you get to stop and look around you are always rewarded. The wondrous ruins of Orr. 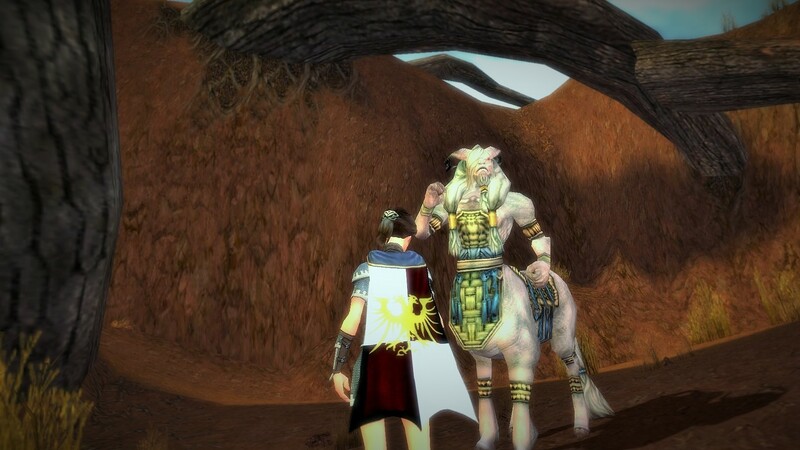 Pushing on further into the Maguuma Wastes I finally got to meet Ventari, the centaur I’ve only ever seen before represented as a Wintersday toy. I have to say I found him particularly unhelpful at out initial meeting but I’m hoping I get to talk to him a bit more as I go on. 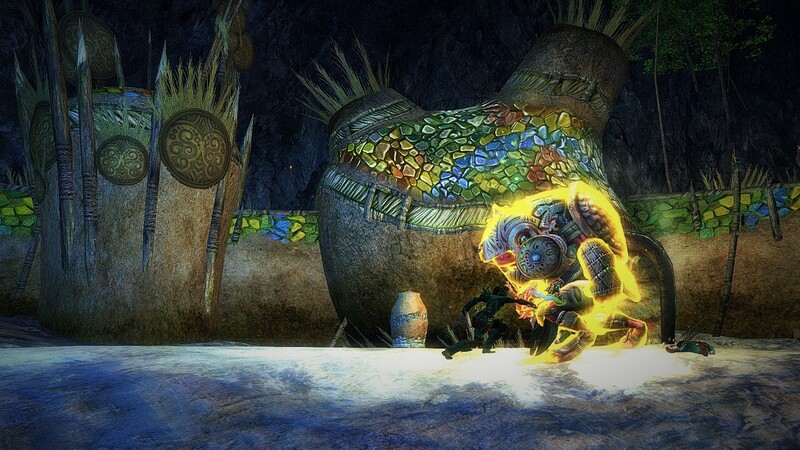 Back in GW2, or so I thought, when I come across a personal story boss with a distinctive yellow aura – just like the bosses have in GW1. 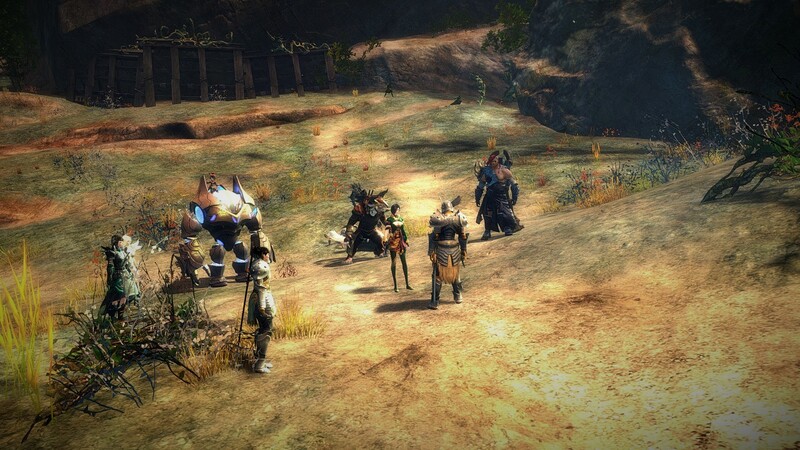 I did do a bit of a double take and checked which game I was playing, I’ve never seen another boss with an aura in GW2, was it a little nod back to the bosses of old or just a co-incidence? Chieftain Tochzotl and his strange yellow aura. 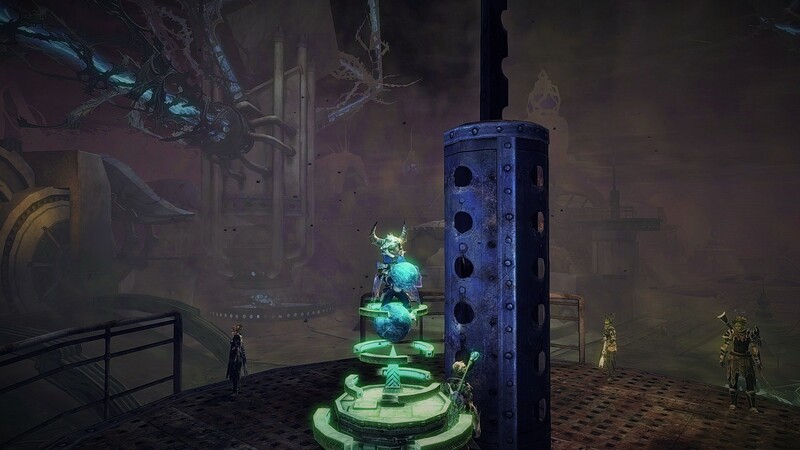 Trying to do some of the achievements for the Dragon’s Reach story I found myself in this instance quick a lot – those stupid balls of light with knockback caused me much frustration. 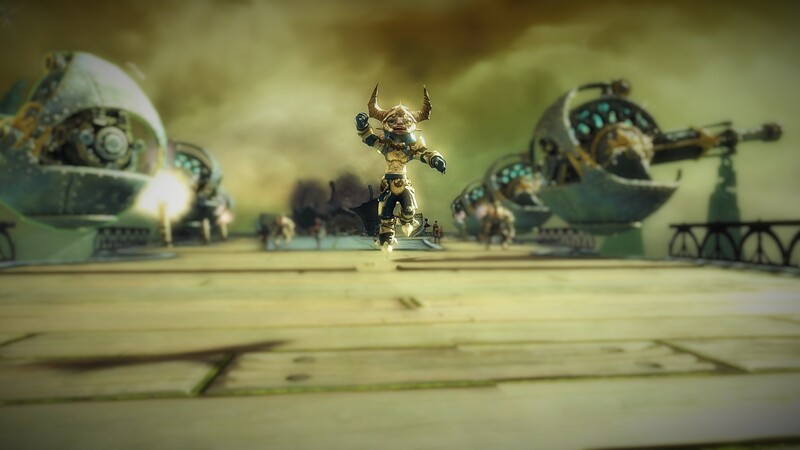 I’m intrigued with where the Rytlock story is going to go, will he pop up in EOTM or Fractals? What’s he getting up to in the Mists? I hope we get to find out in later episodes. 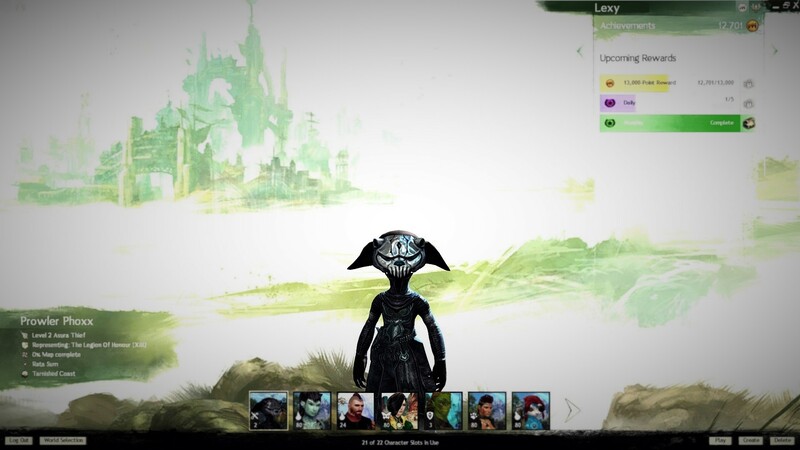 Patch day arrives and therefore so does the next #GW2Project365 weekly digest. This week I took a trip back in time, amongst other things. 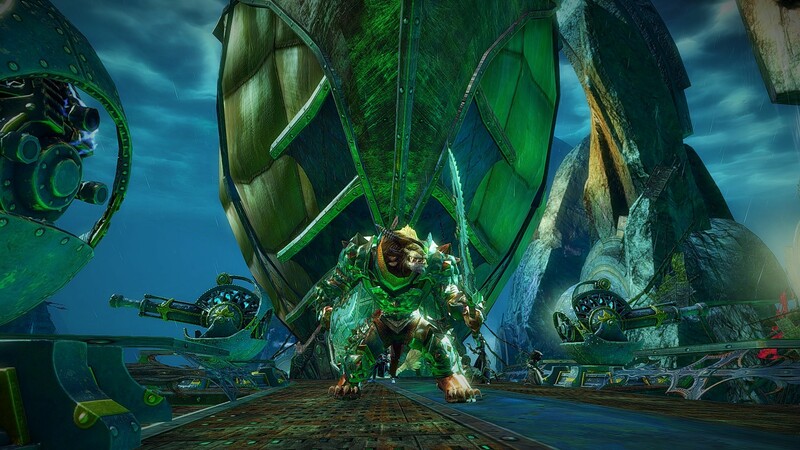 Guild Wars 1 – meeting the Eye of Janthir. The Eye of the North! Finally reaching the fabled Hall of Monuments I was even able to add MOX into one of the displays to gain another HOM point. Not only that but I was able to recruit some EotN heros to my little band and am currently feeling much more ready to face the world. I don’t particularly want to jump all around the different campaigns without finishing them so my plan is to return back to LA with my newly acquired ‘friends’ and finishing leveling to 20. 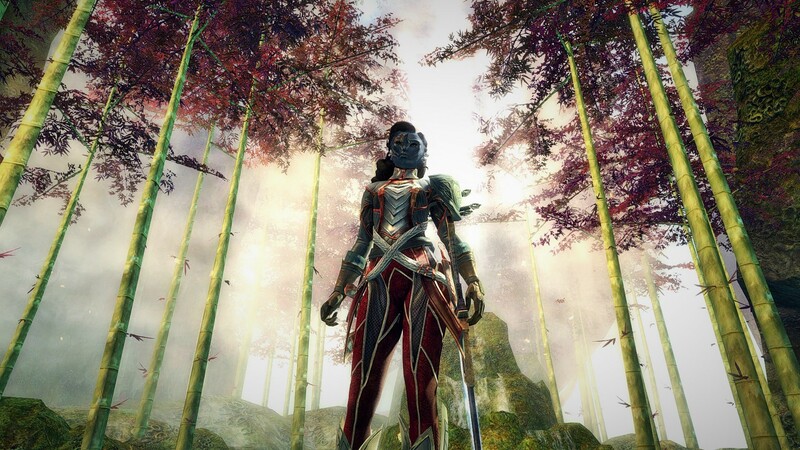 Hopefully I can head back out to Bloodstone Fen and pick up my story after that. 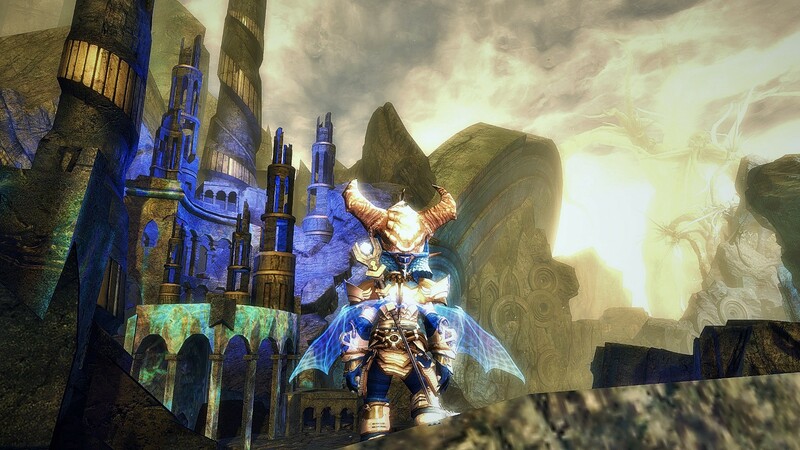 Guild Wars 1 – Behold! The Hall of Monuments. Back in the Tyria of now I happened to be running along the eastside of LA heading for the Postern Ward services when I stumbled across this little guy – the squeee of delight was audible. 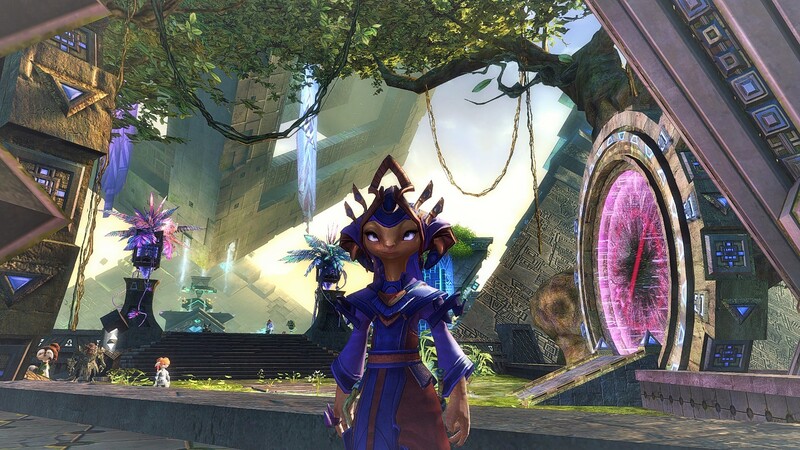 New little baby moas being raised by Tigg the Moa Racing asura. I was very sad we weren’t able to save his orginial racers in the battle for Lion’s Arch but its good to see him getting the business back up and running. Hopefully he may introduce a new mini moa prize in future? 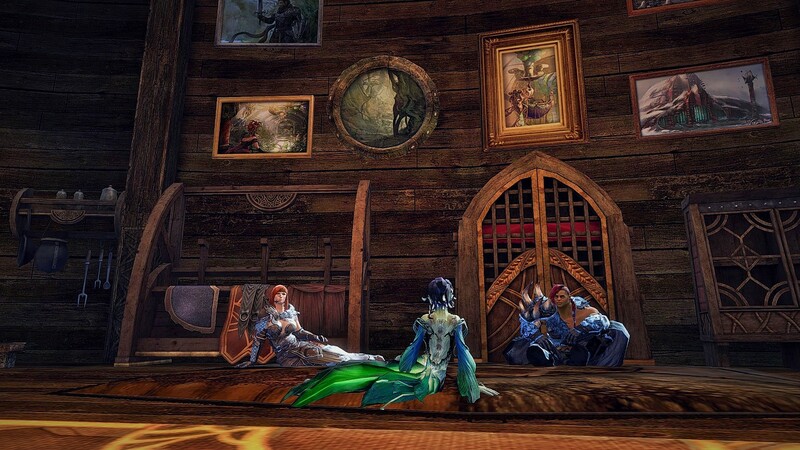 Sundays = guild get-togethers for us and two guilds we ally with. 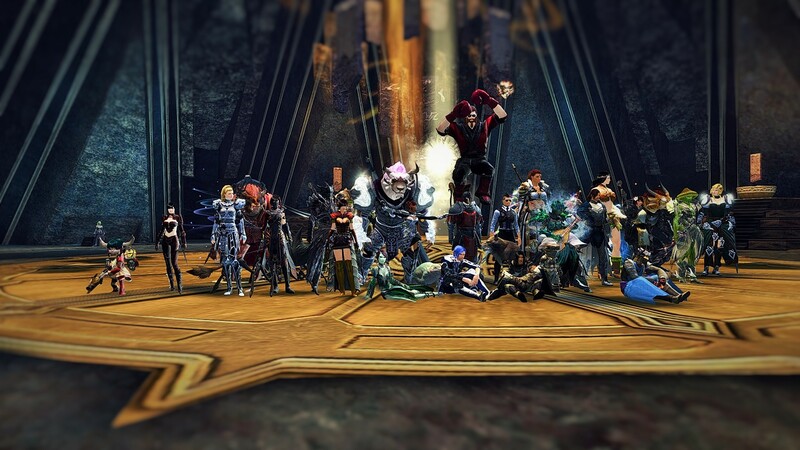 I hold my hand up now and say this group shot was actually taken the previous Sunday, but I had to give that over to Brutus’s triumphant rise to level 80 and subsequent kicking of Zhaitan. 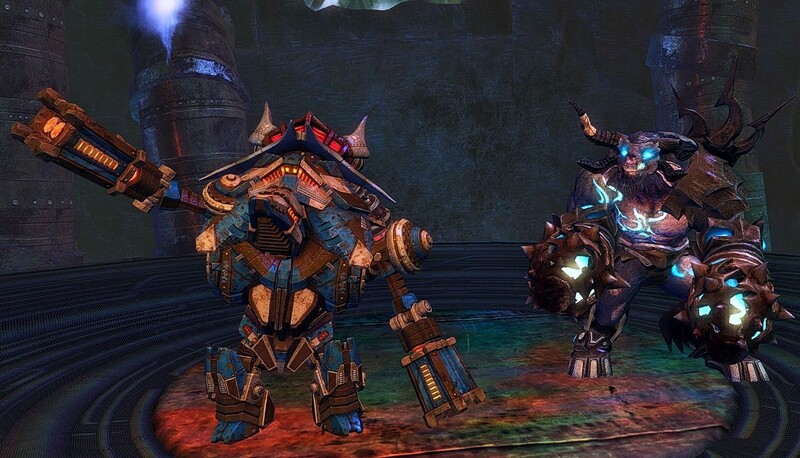 So, not wanting to leave out such a great community shot I thought I’d put it in today – hi to all my friends in Legion of Honour, Vanquish and ROAR. 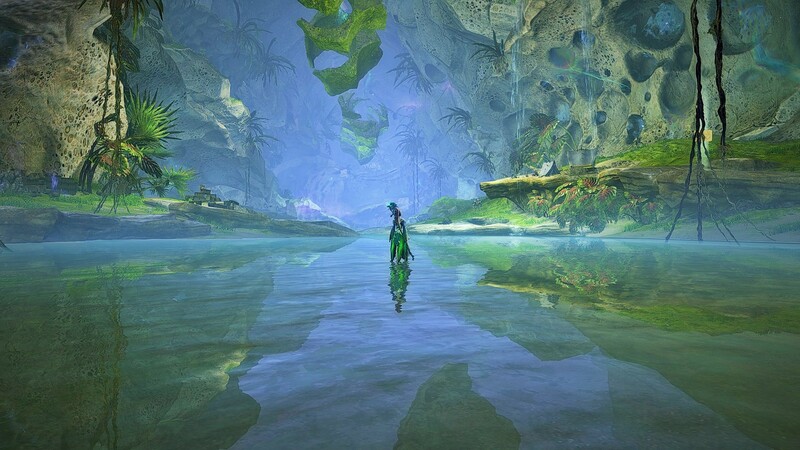 So many excellent shots of Dry Top and the newer areas, the Ley Line hub really was a jaw-dropper the first time I went in there but on the way to it I’d completely skipped this vista which is equally as stunning, especially as it reveals the oasis at the end. 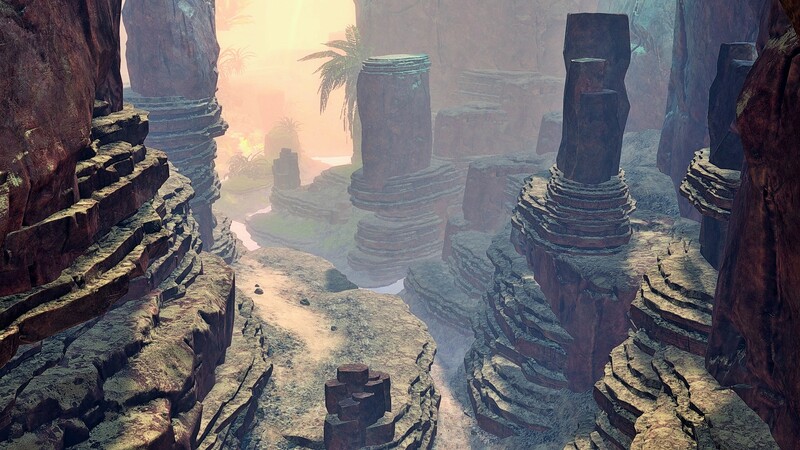 Not sure we’ll be getting any new areas in this next patch, by the looks of things we will be heading back to more familiar areas, but the maps released with the last two patches are still showing me new things and events. 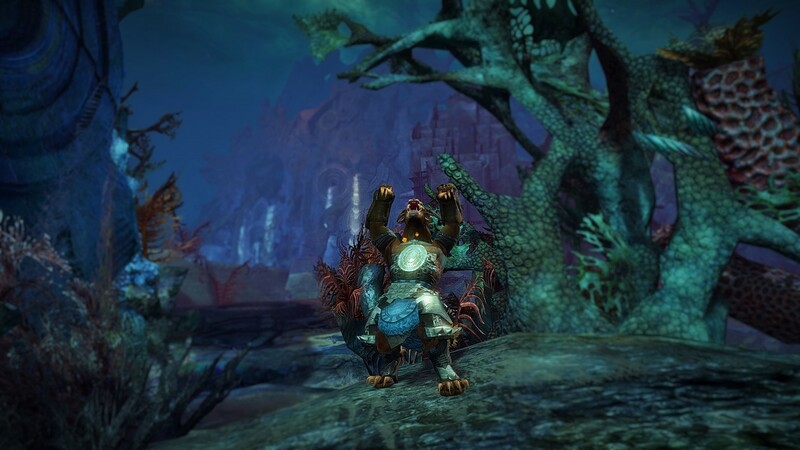 So I hope everyone enjoys the new patch, it looks like it’s going to shake things up a bit – here’s to a happy and eventful week in Tyria. Welcome to the second weekly round-up, another mixed bunch this week, some living story, some personal story and some…well other stuff. 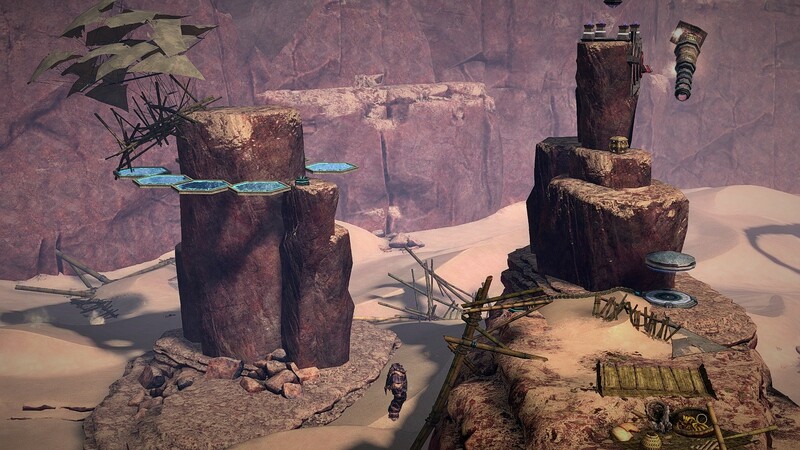 When last we spoke both Tulaah and Kira has begun to explore Dry Top, helping out crash victims and persuing Scarlet’s past activity in the area. 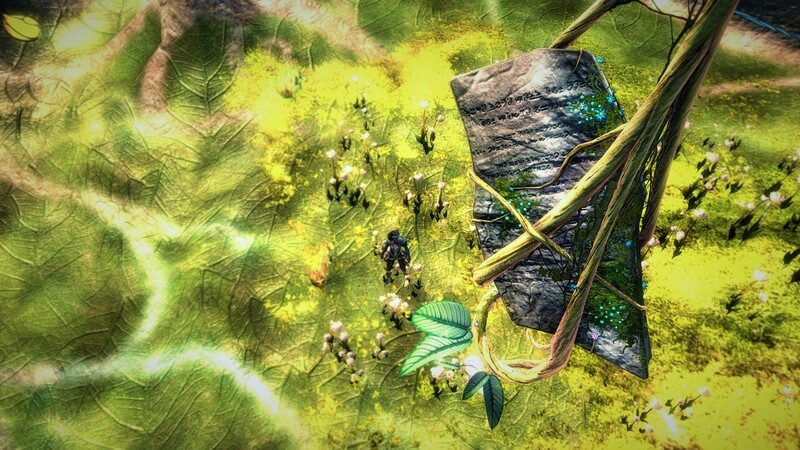 Whilst they were there strange things were happening elsewhere in Tyria, vines previously only found in Dry Top and Tangle Root began to spread out to other areas, seemingly attracted to waypoints. 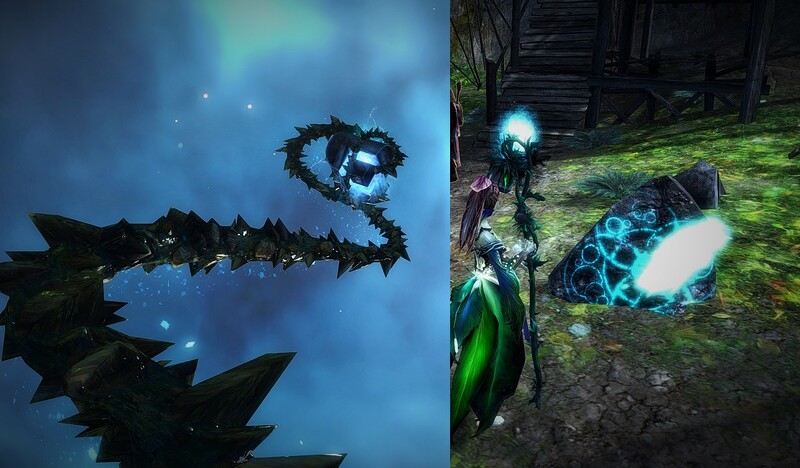 Finally we discovered that asuran technology is indeed susceptible to something when one of the vines in Brisbane Wildlands wrapped itself around a waypoint and shattered it. We discovered new areas by following Scarlet’s trail, we discovered much more than new areas if truth be told. I was really tempted to throw up a bunch of screenshot but I’m trying hard to stick to the ‘one shot per day’ idea. I will definitely be featuring more of the area as the story progresses and as I visit the area with other characters. I picked this screenshot because it really was the most jaw-dropping moment I’ve had in this game for a long while; the scale of the place, the questions it raises – just amazing. 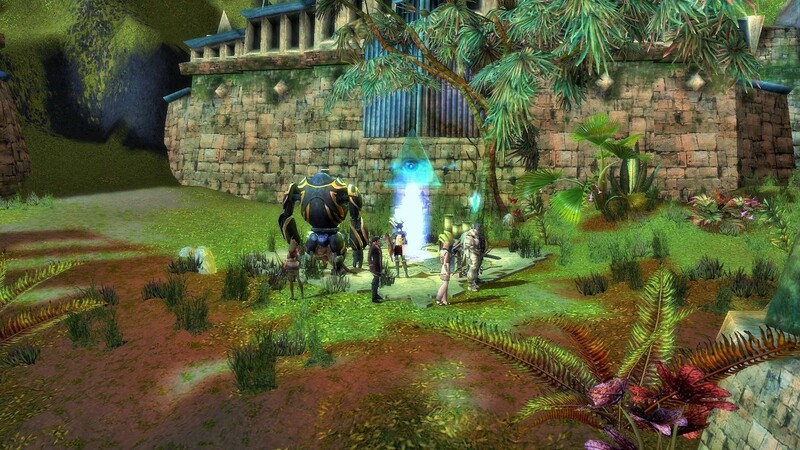 Amazing discovery – the ley line hub. I added a new notch to my completionist belt this week when I discovered that I wasn’t happy taking level 80s to do the new LS content if they hadn’t already finished their own personal story. I know that the devs have written all the new dialogue to reflect that you have finished it, even if you haven’t, but that didn’t sit well with me. 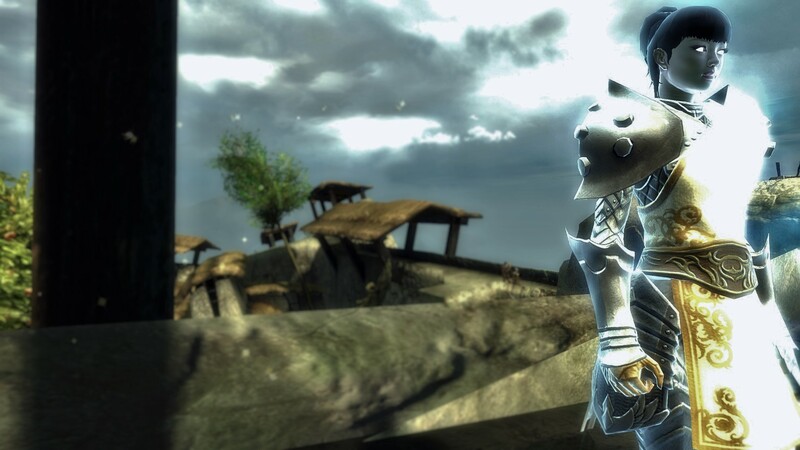 So…time to take Binky back in time to his days with the Pact, those halcyon days of Orr. First off, let’s clear the risen out of Fort Trinity – has anyone seen my Blue Orb of mystery? Anyone want to play marbles? One thing led to another and before you know it Binky had managed to get himself, Destiny’s Edge and the Pact forces to the fabled gates of Arah. An inflight movie and some complementary drinks later and we were down one Elder Dragon – rejoice! Binky’s turn finally came to tweak the noise of that pesky Elder Dragon. You may think that getting a haircut is a bit of a slow news day, but I can’t tell you how long I’ve been looking for a new style for Tulaah. 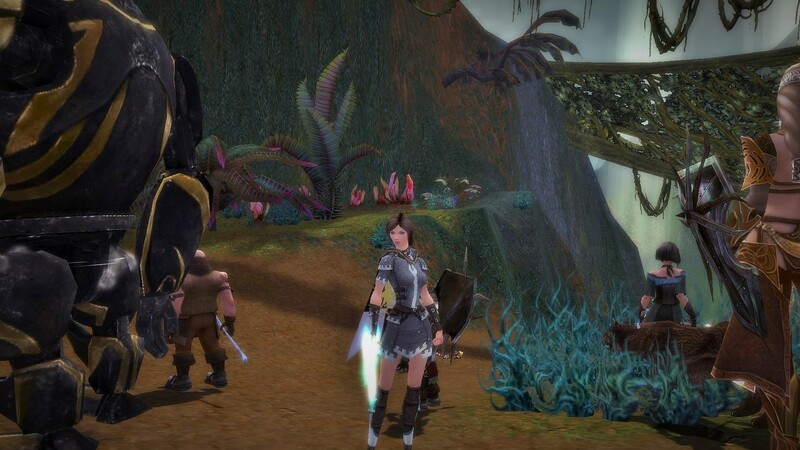 As she was my first character, by the time I’d levelled her to 80 and discovered the joy of cosmetic backpieces I quickly realised that her ponytail caused massive clipping issues with nearly all of them. 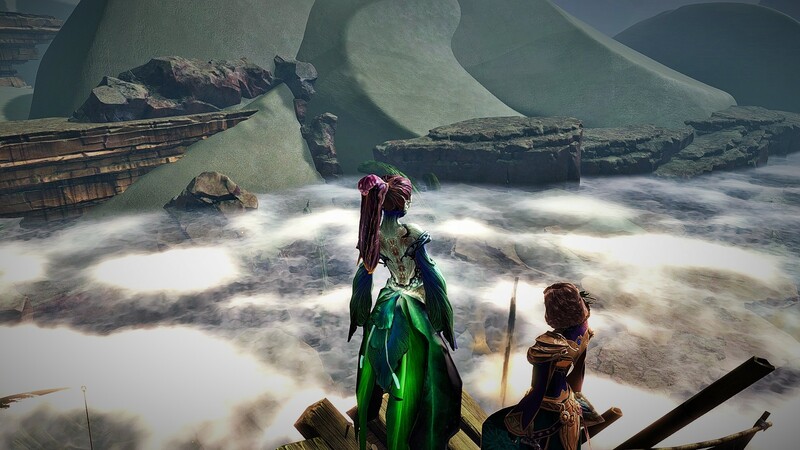 Unfortunately, I was so used to her by this point that any hairstyle I tried out made her feel like a totally different character, not the curious Sylvari I had spent time with map completing, following her story and reaching 80 with. But with the latest hairstyle releases I finally found it – it’s shorter, presents no clipping issues but, most importantly, when I look at her it is still Tulaah. 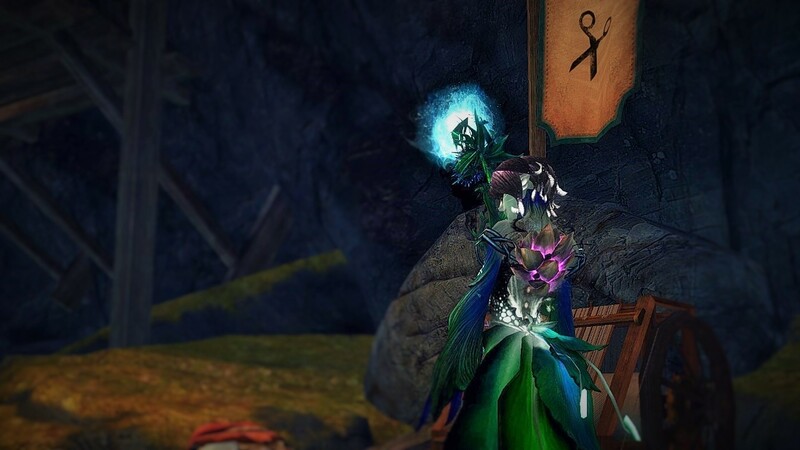 So a big thank you to the ‘hair designers’ at Anet – you may consider this a win. New hair – bring on the back pieces…finally. Brutus, my current levelling project, reached 80 this week. I actually had a lot of fun levelling him, everyone knows warriors are OP but I had great fun taking advantage of this to push him through areas and personal stories much higher than his current level. When I did find the gap too big I used some of my stock of tomes to add a couple of levels and go back and try again. And because of all this he had travelled most of the way into Orr by the time he hit 80 (harvesting Ghost Peppers – how heroic!) and he too was ready to knock on the gates of Arah. Brutus reaches level 80 whilst harvesting Ghost Peppers in Orr. Bonus screenshot – A quick trip to the shops for some gear and Brutus was ready to embrace his destiny as Commander of the Pact. What time is it? 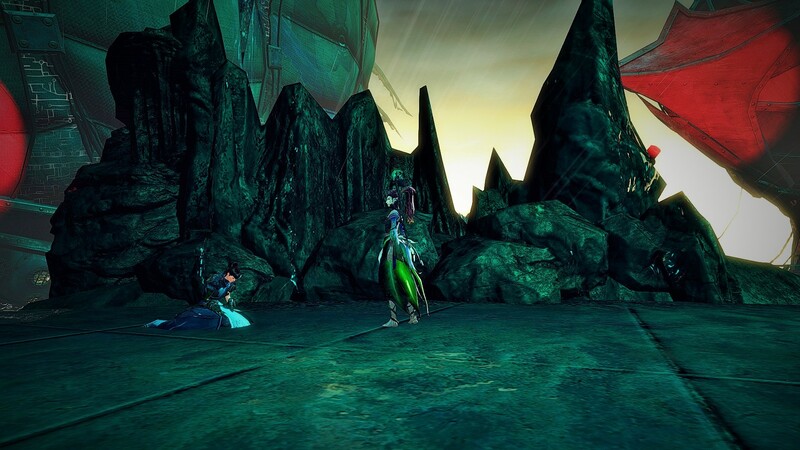 Zhaitan-slapping time! 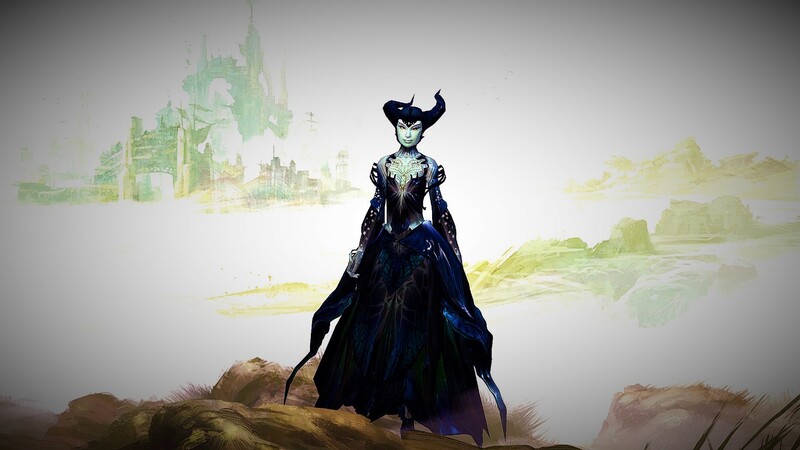 Hot on the heels of Brutus reaching 80 I chose my next project, it is going to be a Sylvari but in the end I opted to focus on my thief rather than my guardian. So please allow me to introduce you to Zaloma. 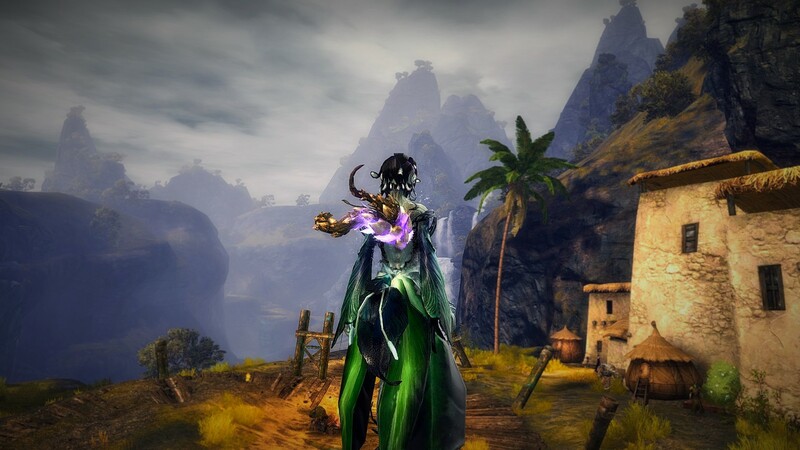 She looks pretty snazzy right now (level 25) but I won’t keep up with transmuting the look as she levels – to compensate I did give her one of the nice new hairstyles. Rather than focusing on personal story to level I think Zaloma is going to prioritise exploration but we’ll see how she gets on. Trying something a bit different with the project for the next few weeks to see how it works. I have no problems with taking at least one screenshot a day, but because of how I choose to share them on here it isn’t always easy to post them up the same day. So, I’m going to give weekly digests a go – one post a week containing seven screenshots and as Tuesday is usually either patch or preview day it seems like a good day to pick for my posts. Lots of opportunities for really good views in Dry Top, especially with its changing environment. It will be interesting to see how the area changes with the next story and how those changes are managed long term in relation to players who haven’t had a chance to visit Dry Top yet. Above a Dry Top sandstorm. 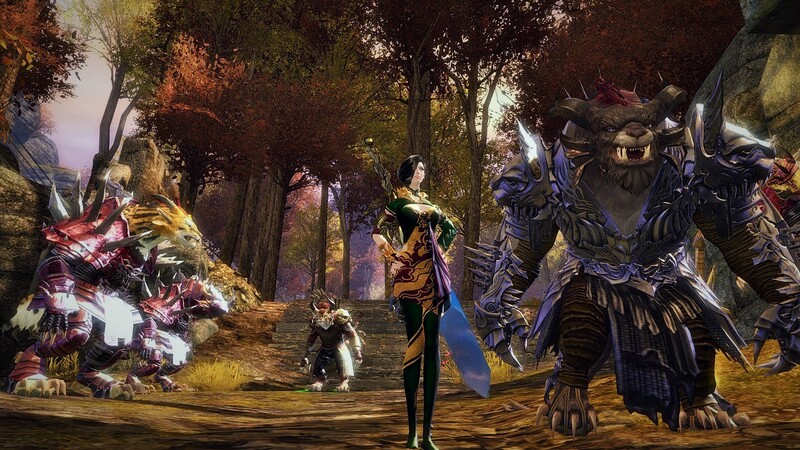 Although my current levelling project is my Charr Warrior, Brutus, I am starting to consider who might be next. 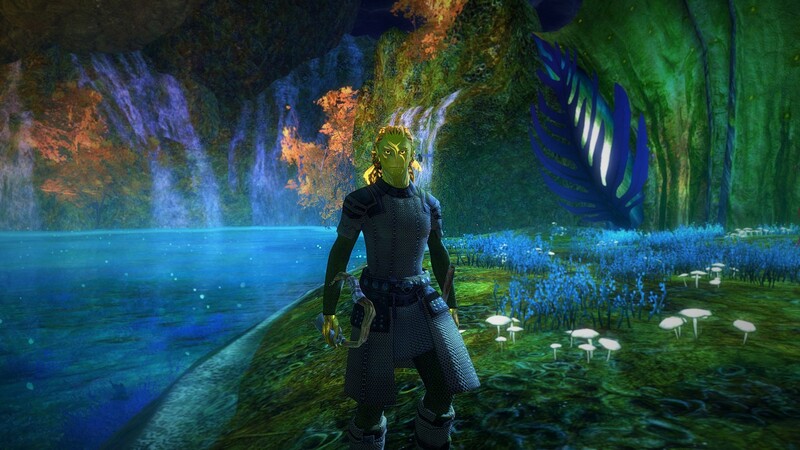 Sylvari is the only race in which I have only one level 80, so perhaps it’s time to add another to that number. Can’t decide whether to go with my Guardian (pictured here) or having just levelled a warrior perhaps I will go with my Sylvari thief. 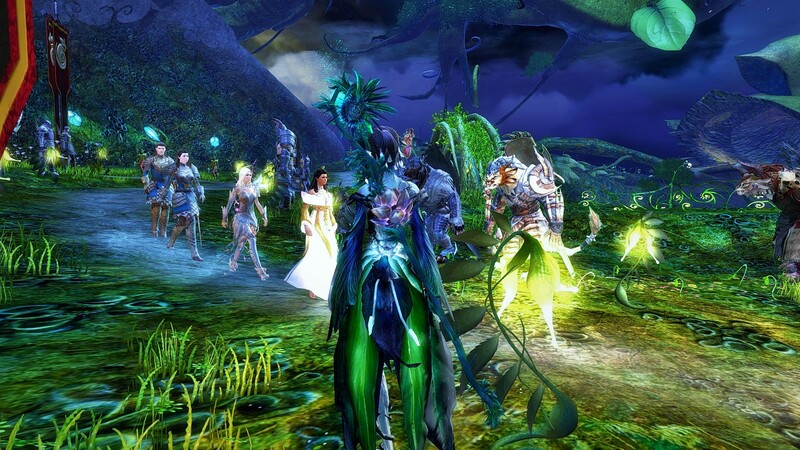 Will Trethalan be my next level 80 Sylvari? I took Kira into Brisbane Wildlands to begin her investigations – I have to admit that I skipped a lot of the dialogue the second time round which I probably shouldn’t have as I know there are differences depending on race and previous story choices. 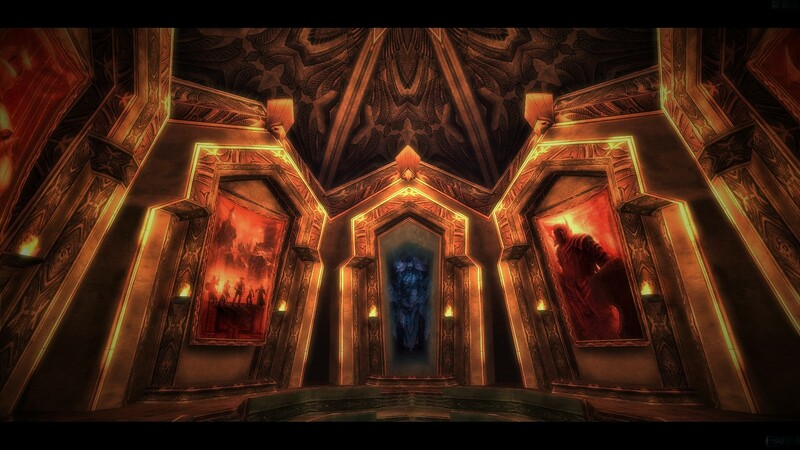 However, I did find that I enjoyed the story instances despite having done them all twice already on Tulaah. The bite-sized ‘missions’ are really accessible and I felt free to take them at my own pace – permanent LS is definitely the way to go. July sees the resurrection of my fractal running – although I’ve mostly been doing pre-20 levels with guildies just to get my feet wet again. The one run I did to increase my fractal level (23) ended with a really rather torturous Mai Trin, having already run into her on my two previous runs at lvl 10 she quickly became my least favourite person in game. I succumbed, despite trying to wait for the next character slot sale I caved this week and bought two. 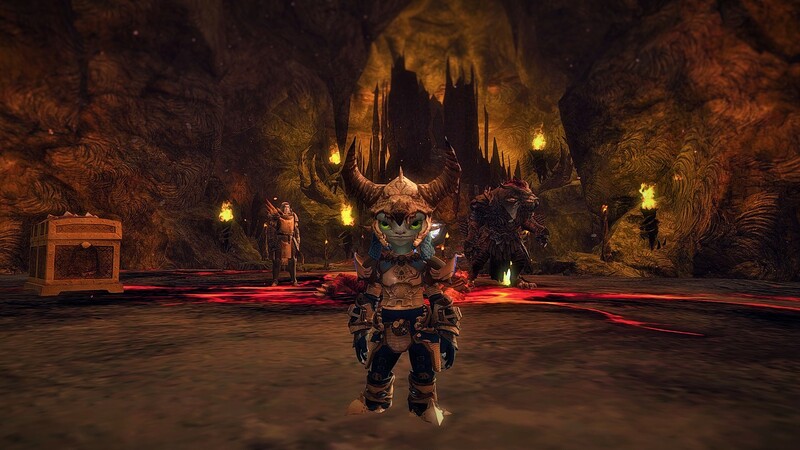 So far I’ve only used one, adding an Asuran thief to my cast of characters. He’s small, he’s dark and he’s dangerous…and at level 2 he’s already been playing in the account wardrobe. Zhaitan received a further slap in the face from Team Lexy this week – this time was the turn of my necro Klariss Ghostcaller. Binky shares in the bromance of CoF story mode. Nearly two years in and I’m still discovering new and wonderful things, like this coffin tucked away behind the boss chamber of CoF path 2 that a guildie showed us after our run. Who exactly is in this chain-wrapped coffin and what will happen if they get out? Now, does anyone have any more chains?